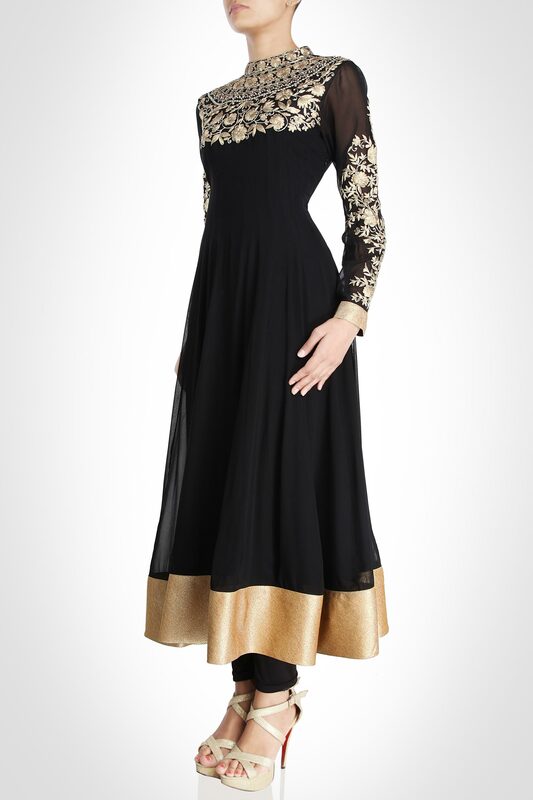 Go for contemporary elegance with this black anarkali. 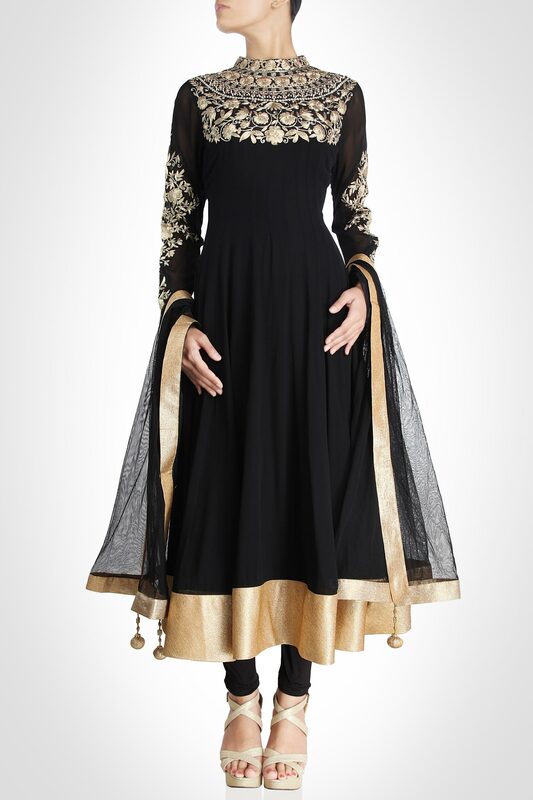 Highlighting the design are the neckline and sleeves adorned with the glimmer of gold thread embroidery in rosette patterns. 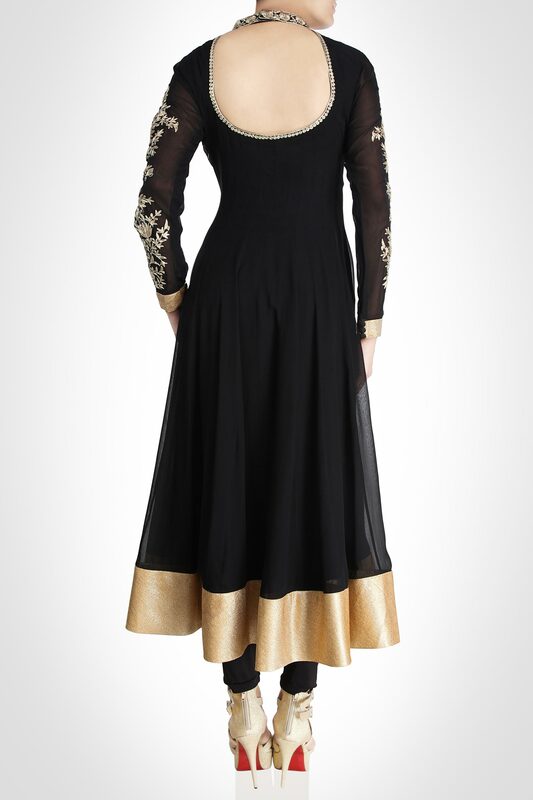 Brocade panels are lined along the hem and duptta for luxe finish.